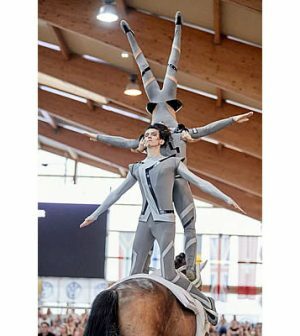 The FEI European Vaulting Championships for Seniors, hosted in Ebreichsdorf, Austria, once again showed Germany’s dominance in the sport winning three out of the four gold medals on offer, Team gold, individual female for Kristina Boe and Erik Oese winning the individual male, whilst Silvia Stopazzini as Lorenzo Lupacchini made history for Italy with the pas de deux gold. Kristina Boe put on a dominant display throughout the competition winning her first ever Championship gold medal, and a title which has evaded Germany in the senior female category for almost 10 years. Together with Winnie Schlüter and Don de la Mar, Kristina performed her freestyle interpretation of Rey from Star Wars to great applause from the crowd. 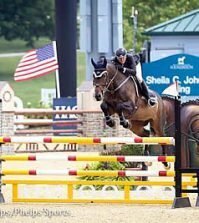 Kristina, a doctor by occupation, couldn’t hide her disbelief as she dismounted from her near faultless 2nd round freestyle, giving her a total score of 8,398. The silver medal went to fellow German Sarah Kay who, alongside Sir Valentin 5 & lunger Dina Menke scored 8,121, proving she is firmly back at the top of the sport after returning from injury, having last medalled in 2012. Switzerland’s Nadja Büttiker won the compulsory round and, with horse Keep Cool and Monika Winkler-Bischofsberger, showed great creative flair throughout her freestyle and technical test to take the bronze medal on 8,090. FEI World Cup 2017 winner Anna Cavallaro (ITA) just missed out on the medals finishing 4th (7,947). Erik Oese fought off tough competition in the highly competitive individual male category to win another gold for Germany on 8,232. Together with his long time team of lunger Andras Bässler and Calvador 5, he lead throughout the first round and, after a tricky technical test he performed a dramatic rendition of his final freestyle to win his first ever Championship title. 2015 European Champion Jannis Drewell (GER) alongside Diabolus 3 and his mother Simone Drewell on the lunge fought back from a fall in his first round freestyle to perform an incredible technical test and final freestyle winning him the silver medal (8,148). France’s Clément Taillez won his first ever individual medal, taking bronze (8,078) on Dyronn lunged by Cedric Cottin Holzberger. 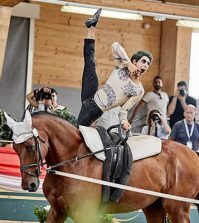 2017 World Cup winners Silvia Stopazzini and Lorenzo Lupacchini from Italy brought the party to the Championships as they danced the Samba on the back of Rosenstolz 99 with Laura Carnabuci on the lunge. Impressing with their intense choreography and creative flair they scored 8,840 to take the gold medal, the first time Italy has ever won an FEI pas de deux senior medal. European Champions from 2011 Theresa- Sophie Bresch and Torben Jacobs alongside Picardo 13 and Alexandra Knauf scored 8,606 for their seamless Bonnie and Clyde pas de deux earning them the silver medal. Whilst the young German pairing of Timo Gerdes and Jolina Ossenberg-Engels rectified their first round mistakes to perform an outstanding 2nd freestyle placing them 3rd (8,210) on Caram OE lunged by Claudia Doller-Ossenberg. 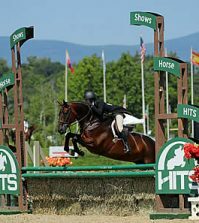 The FEI European Championships ended in spectacular fashion with the team competition. Team Germany who was 3rd after the compulsory round with Danny Boy 25 and Patric Looser on the lunge fought back with two energetic freestyles that highlighted their incredible athleticism. The team consisting of previous individual and pas de deux medallists drew on all their experience to perform an outstanding final freestyle scoring 8,419. 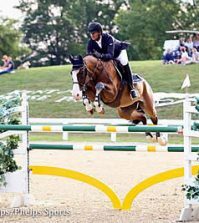 Team Switzerland, who had held the lead following an unbelievable compulsory round, narrowly missed out on the gold medal with their new horse Rayo de la Luz and Monika Winkler-Bishcofsberger; they finished a close 2nd on 8,407. Team Austria delighted the home crowd to win the bronze medal with Maria Lehrmann and Alessio L’Amabile (8,164).